Hello lovelies, today I thought I would share with you the beauty box I love! 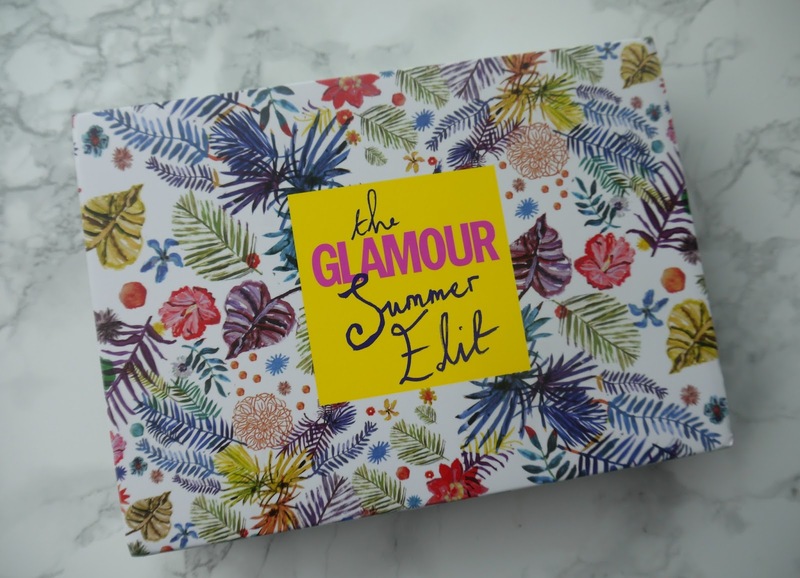 My favourite beauty boxes are the Latest in Beauty Glamour editions! I always seem to get them, they have the best samples and full size options on offer, this box is full of summer goodies and I love them all! Grounded coffee scrub in Chocolate orange - This is a cute sample sized of the coffee scrub, I have tried the coconut one in full size and absolutely loved it, I have a review here if you want to check that out. But this one, omg it smells like Terry's chocolate orange, it smells good enough to eat! I am definitely getting this one in full size next time, it also makes your bathroom smell amazing if you leave a tiny gap open in the seal. Revlon Ultra HD matte lipcolor - I can't find the shade to this anywhere sorry but its a gorgeous nudey pink shade that goes with any look! 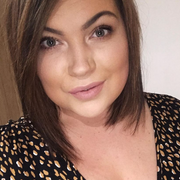 It lasts a really long time on the lips and is quite moisturising considering its a matte lip product, it doesn't cling to any of my dry areas and the applicator is really easy to use. I have a couple of these and I am in love with this shade. St Tropez Self Tan Classic - Another sample size but great sample sized! I tanned my legs and feet the other day because I wasn't getting my legs out aha and still have plenty left! It gave such a gorgeous natural tan and actually smells gorgeous! Didn't streak at all and lasted for ages, it dries quickly and great for hard our of reach areas, was cool giving myself my own min spray tan without the price tag! Obviously it's not as perfect as when you get it done professionally but it does the job and a pretty good one! Aurelia Miracle cleanser and bamboo muslin cloth - This was a lovely cleanser, it felt rich and luxury especially with the nice soft muslin cloth, it took my make up of straight away and left my skin feeling amazing, super cute packaging too! WOW Mask Luxury facial mask - I liked this face mask but it was the weirdest experience, I felt like I was on the face off! It is very slippery but once it is on your face it doesn't budge, you leave it on for at least 20 minutes the longer the better, it said to remove wrinkles and tighten your pores to make them appear smaller. I've only used it once so can't really judge that but my pores don't look any smaller, it left my skin feeling really moisturised and gave it some TLC, its ingredients leave you with plumper, firm and radiant skin, my skin did look a bit more radiant this morning considering I had about 4 hours sleep. Ladival Sun protection spray SPF30 - This sun cream is perfect for me because I'm like Casper I usually pinch the kids 50 to be honest but I was after a 30 for my holiday so I'm keeping this one to go in my case, it does the job, protects you from the sun, this suncream protects you from infrared-A rays as well as UVA and UVB. Oribe Dry texturizing spray - To me this is like a luxury dry shampoo, I apply this to my roots to give my hair extra volume and a bit of a back comb or fluff it with my fingers, it doesn't have an unpleasant smell or anything and is a great handbag size. This will also be perfect for my 'heat free July' as I can just stick this in my roots to give me volume. Nuxe Prodigiuex shower oil - This is the only product I am yet to try in the box, it smells divine and I think this would be great to use before a night out as it has a golden shimmer to it. It claims to leave our skin feeling cleansed leaving it with a satin finish, it has orange blossom notes with vanilla and magnolia, gorgeous I can't wait to use it, again perfect size to take away on a weekend or mini break. Can you believe all of that is worth £104.48 and you can get it for twenty quid! 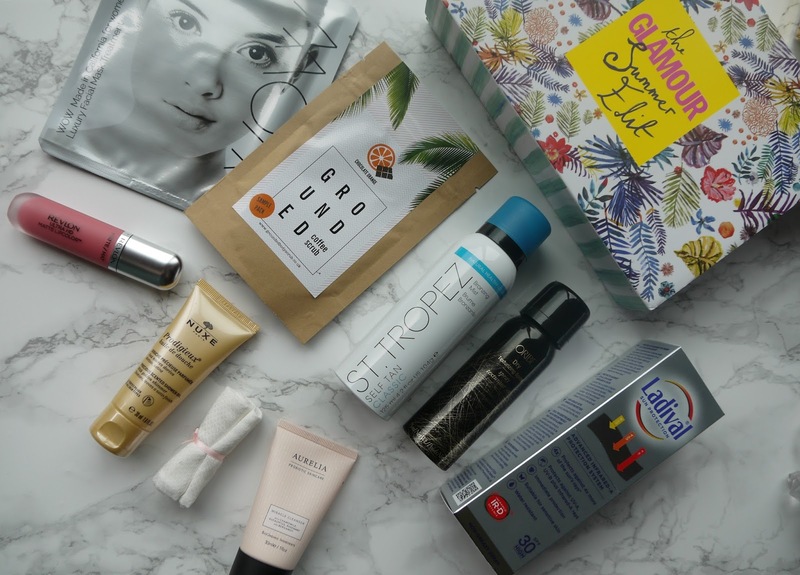 Will you be picking up this ultimate summer beauty box? I cancelled my beauty subscription back in January and haven't considered signing up to another one since, but this box looks AMAZING!! I don't think I could justify £20 every time but it looks so so good!